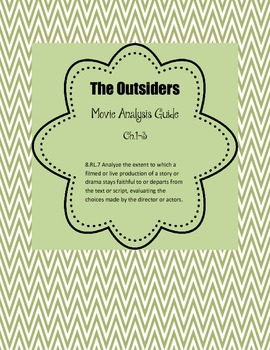 This movie viewing guide is a Common Core-aligned analysis activity for the first 30 minutes of the movie, which pairs with ch.1-3 in the novel. 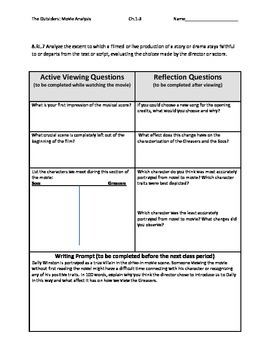 Students will answer active viewing questions while screening the film and reflection questions after the viewing. These can be used for discussion starters as well. There is also a quick write prompt attached for a final analysis of the changes made by the director of the film in the adaptation from the novel.